When we shared the story of Paul Dannels, the guy who had his bike brazenly stolen last week in front of the YMCA, we didn't just get flooded with tips about the identity of the thief. Numerous people told us they wanted to help Dannels get a new bike. 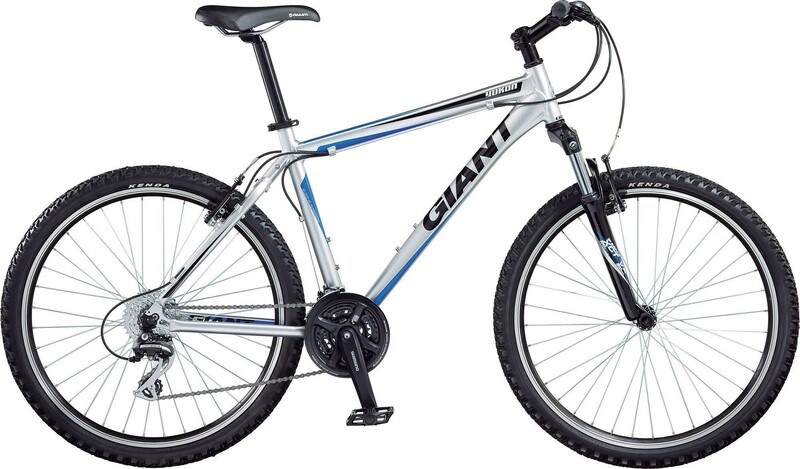 Still missing: Paul Dannels' white Giant Yukon bicycle. Since then, the alleged thief has been arrested, but the bike itself is still missing. And Dannels says that he can’t afford to buy a new bike himself. But Washington Bikes, a statewide bicycle advocacy organization headed by former WSU-Spokane spokeswoman Barb Chamberlain, started a campaign yesterday to raise $1,000 to buy Dannels a comparable bike, and throw in lights, a seat for his 3-year-old, a much better lock and additional equipment. Already, the North Division Bicycle Shop, near Whitworth University, has promised to donate $100. So that's only $900 more to go. Donations are tax-deductible.